With cold temperatures set to hit the UK over the next few days, cover4insurance is offering the following essential advice to drivers. Use low gears to keep traction, especially on hills. For cars that are not being regularly used, ensure you turn the engine over and keep it running to so the battery stays energized. During cold weather it is especially important to check tyre, battery and wiper blade condition. Make sure the lights are fully functioning and double check oil and fuel levels before setting off. 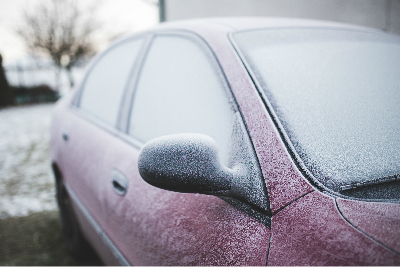 Check anti-freeze levels and carry de-icer in case the locks freeze. It is also useful to keep a torch, ice scraper - and in extreme weather conditions -wellington boots and a shovel in your car. With much of the UK expected to be hit by cold temperatures over the coming days, it’s important that homeowners and drivers are well prepared. By following this advice, you can help limit any potential problems that may occur. Always make sure you have adequate car insurance. For information and to obtain quotes visit our car insurance page.